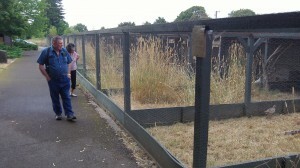 Visitors look at the pheasant pens Thursday. 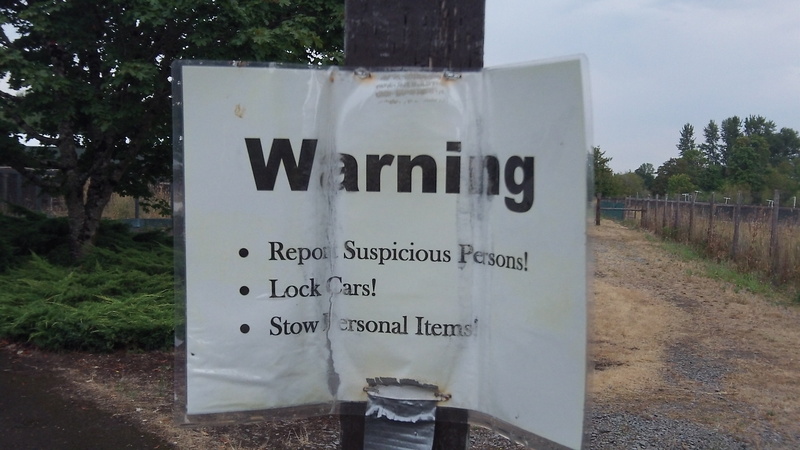 Maybe a security camera would work better. Animal liberation? No, what the self-styled “masked liberators” of the Animal Liberation Front accomplished instead was to do about $50 worth of damage to the chicken wire enclosing four of the 19 pens at the E.E. Wilson Wildlife Area in Benton County near Albany. They did their ill-considered vandalism on the evening of Aug. 15. According to their online press-release, they were interrupted and left when a car pulled into the parking lot. The cages hold a few pheasants and quail, and an attendant said none of them flew off. “They like it here,” she said, adding that most were “rescue birds” being rehabilitated and none had been caught in the wild for the purpose of being penned up. Conditions in the open-air pens are close to natural, with some featuring branches to climb on and tall grass. Feed and water are provided, along with shade to get out of the sun. No wonder the birds didn’t leave when some vandals cut their fence.